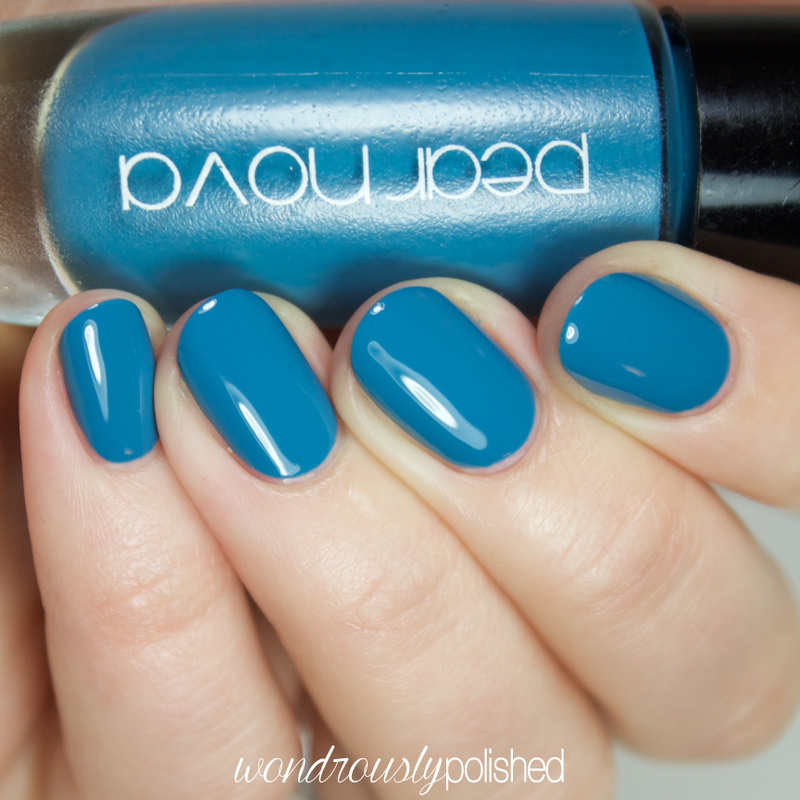 Boystown Blues is a vibrant true blue creme that was flawless on application and such a stunning shade! 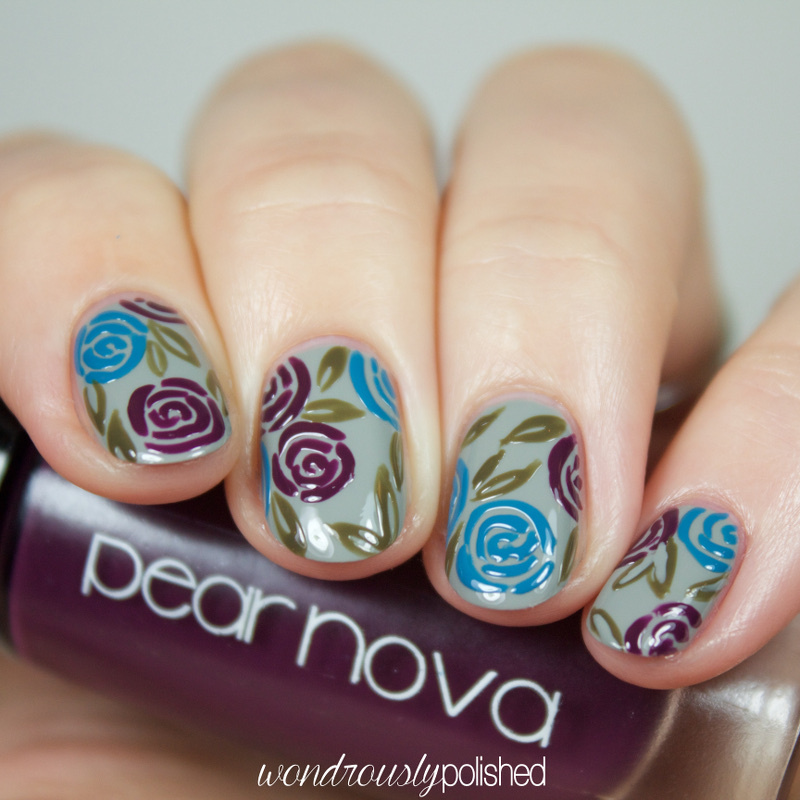 This was a one coater, though shown is 2 because I wanted to hide the ridges in my nails. It's pretty insane. 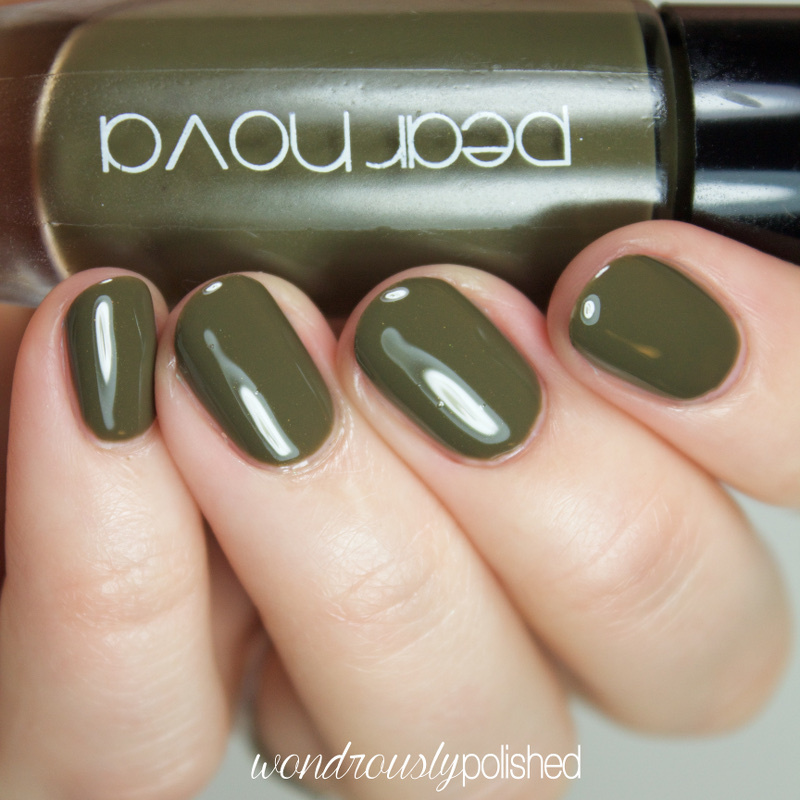 Oak Street Suite is an olive green creme that is one of those ugly pretty colors I so enjoy. 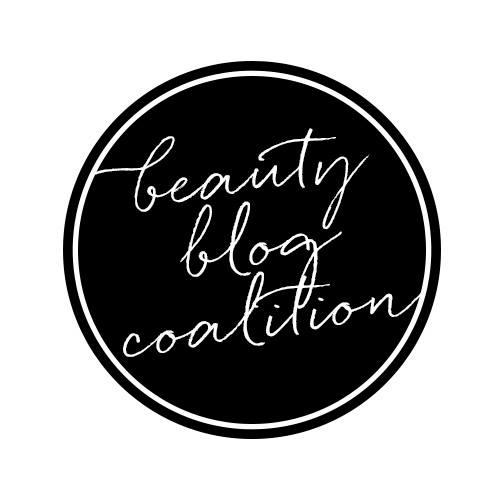 It won't be for everyone, but the formula was great and if you're looking to have a wide range of creme shades, this is a great option. Shown is 2 coats. 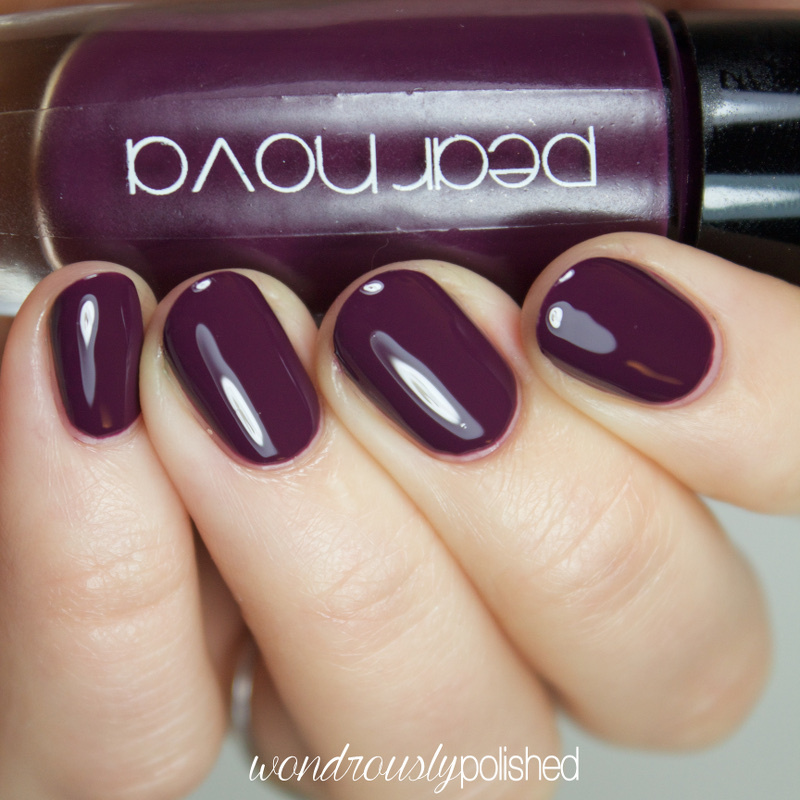 Jekyll & Hyde Park is a beautiful dusty and deep royal purple with a formula similar to the two polishes above. This probably my favorite of these as the shade is just so lovely. Shown is 2-3 coats to avoid patchiness. Pilsen Lofts & Art Walks is another favorite of this collection. I'm a sucker for a good grey and this one did not disappoint. 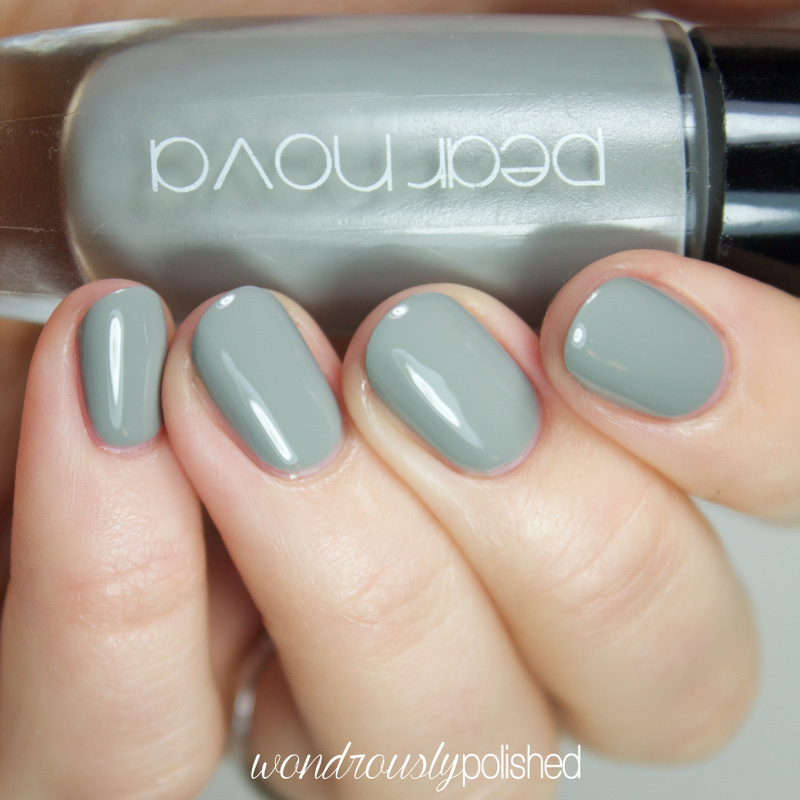 This is the perfect concrete grey and the formula on this was lovely. It's thick enough that you can reach opacity in just 2 coats and it's self-leveling like the rest of these shades. 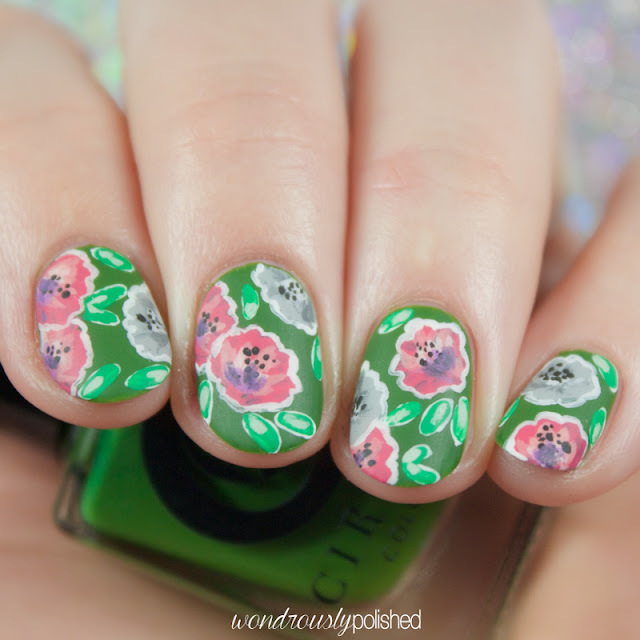 As I like to do, I put together a simple little floral mani using these shades. 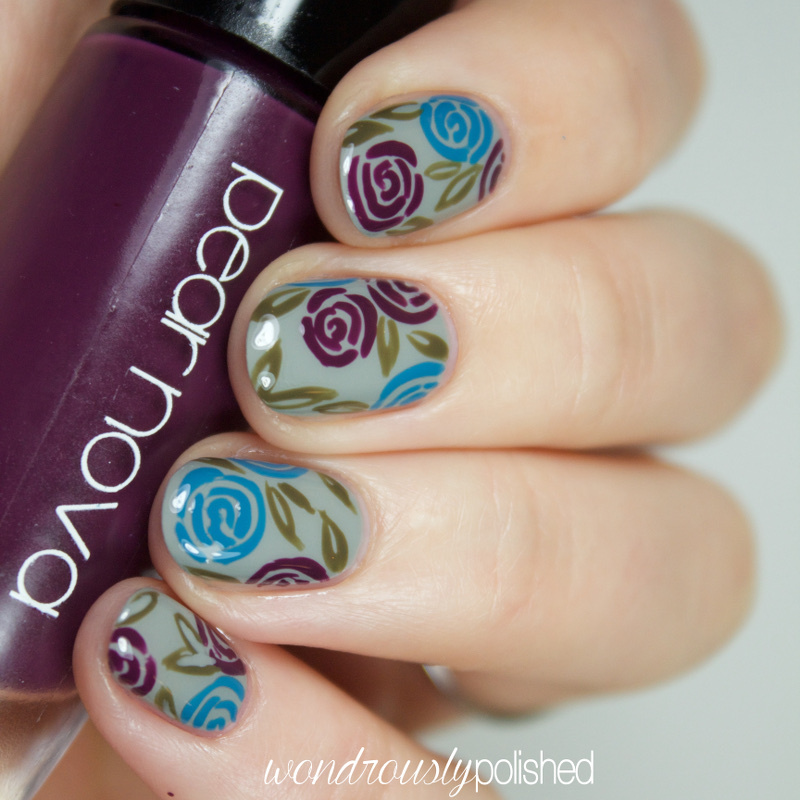 These simple roses have become my go-to manicure and I just love how versatile the look can be. The bottles these come in are very unique and feature a very large mouth to the bottle which is something I'm not used to. My only concern with their shape and design is that I might accidentally tip over the bottle and the polish will spill easily. But other than that, the brushes these come with are nice, medium in width and good quality. One thing to be noted, it seems that their website is still in the process of being updated. When I clicked on the image/item to view more about each polish, it takes you to an unfinished page. That being said, it's still possible to add the items to your cart and checkout through paypal via the main page. 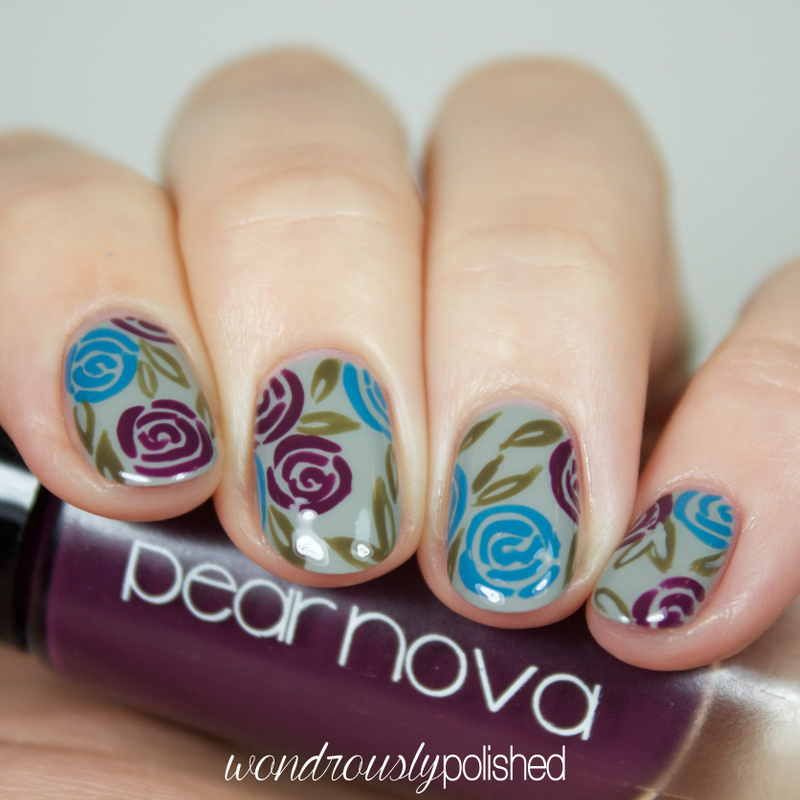 You can purchase these polishes and more from the Pear Nova website now and be sure to follow them on your favorite social media site to stay up to date with releases and promotions!